TOLEDO, Ohio, October 15, 2014 – SSOE Group (www.ssoe.com), a global engineering, procurement, and construction management (EPCM) firm, announced today that its World Headquarters building at 1001 Madison Avenue in Toledo, Ohio, has earned the U.S. Environmental Protection Agency’s ENERGY STAR certification. This certification signifies that the building performs in the top 25 percent of similar facilities nationwide for energy efficiency and meets strict energy efficiency performance levels set by the EPA. 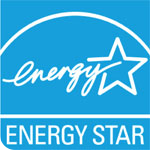 ENERGY STAR was introduced by EPA in 1992 as a voluntary, market-based partnership to reduce greenhouse gas emissions through energy efficiency. Commercial buildings that earn EPA’s ENERGY STAR certification use an average of 35 percent less energy than typical buildings and also release 35 percent less carbon dioxide into the atmosphere. SSOE improved its energy performance by managing energy strategically across the entire organization and by making cost-effective improvements to its World Headquarters. This was accomplished by replacing two of three rooftop A/C units with more efficient units and also by installing higher efficiency lighting fixtures. Over the past 20 years, American families and businesses have saved more than $230 billion on utility bills and prevented more than 1.8 billion metric tons of greenhouse gas emissions with help from ENERGY STAR.